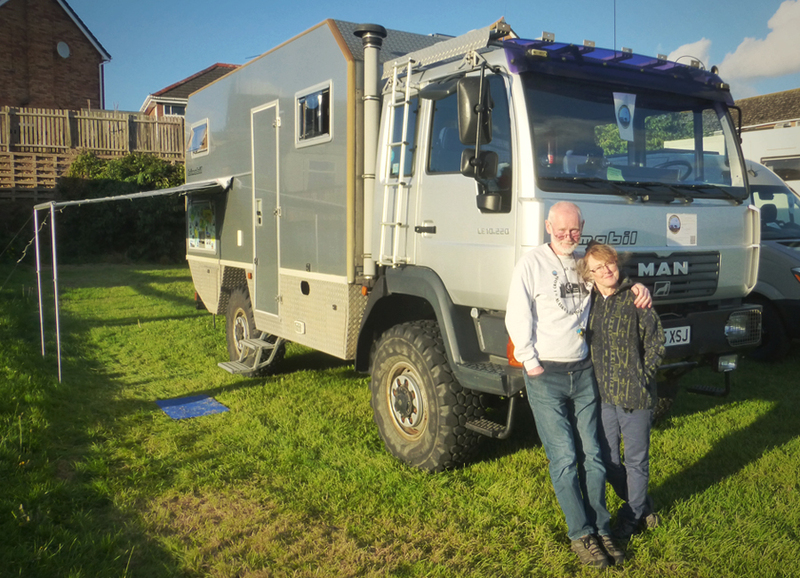 In this episode we talk to Stephen and Michele Stewart at the Adventure Overland Show about their worldly adventures. Stephen’s incredible story starts back in 1969 when he travelled overland to India with 500 other students as part of the Comex 3 expedition. In the early 70’s he drove an old Land Rover from South Africa back to the UK via central Afghanistan and worked for Encounter Overland driving trucks (with passengers) from London to Johannesburg and London to Kathmandu. Since 2009 he and his wife, Michele, have continued to travel overland in their German built MAN based Bimobil truck. I recommend reading the travel diaries which frequently have great titles like 'We are in Jail' and 'Worse than Childbirth'. The 2004 Siberia and Mongolia trip is an especially interesting read. Stephen and Michele are also members of the Silk Route Motorcaravan Network.